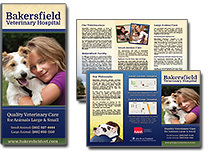 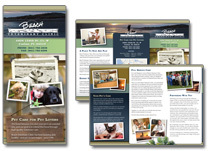 Veterinary hospital brochures are an excellent way to reinforce your practice’s brand and tell your unique story. 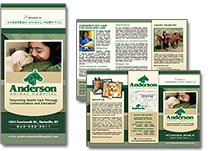 Our expert design and content teams have significant experience creating veterinary hospital brochures that are informative, concise, and effectively capture each client’s unique identity with a visually striking, memorable look and feel. 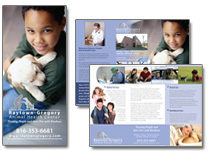 Contact Us Today About The SEO Package That Is Right For Your Hospital's Website!